The Frutkin Law Firm has added Ben J. Himmelstein to its growing roster of attorneys. Himmelstein brings 10 years of civil and commercial litigation expertise to the firm. As Senior Counsel Attorney at The Frutkin Law Firm, Himmelstein works with individuals and small to medium-sized businesses on a wide variety of matters. His experience includes commercial real estate, construction, breach of contract, zoning and regulatory matters, employer and employee relations, and contract negotiations. He has also expanded his practice into immigration, specifically related to business related immigration issues. Before joining the firm, Himmelstein worked at a Scottsdale based firm where he served as lead counsel in many of the firm’s litigation matters. His practice included litigation involving large dollar disputes representing a diverse range of clients. Himmelstein graduated from the Sandra Day O'Connor College of Law in 2004 with his Juris Doctorate and a Certificate in Law, Science and Technology. He earned his Bachelor of Arts degree from Arizona State University in 2000. Himmelstein serves on the Board of Directors of the Arizona Small Business Association and is one of the founding members of the Arizona Jewish Lawyers Association. He was recently named to the 2014 Super Lawyers Southwest Rising Stars list, a distinction only granted to 2.5% of lawyers in Arizona. He also received this mention in 2012 and 2013. In addition, he has been named as one of Arizona’s Finest Lawyers. The Frutkin Law Firm now consists of ten attorneys with decades of experience in the core areas of business law, real estate, estate and tax planning, and civil litigation. 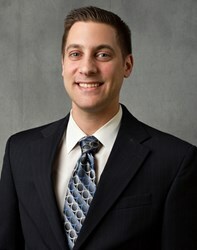 For more information on The Frutkin Law Firm and practices areas, visit http://www.frutkinlaw.com. The Frutkin Law Firm, PLC was founded in 2007 by attorney Jonathan Frutkin with the goal of providing exceptional legal representation to clients throughout Arizona in business and corporate law and related areas, ranging from taxation and asset protection to estate planning. The Frutkin Law Firm helps businesses, individuals, and families in Scottsdale and throughout Arizona with corporate and business law, bankruptcy, real estate, asset protection, wills, trusts, and estates, and litigation needs. The firm is located in North Scottsdale. For more information, visit http://www.frutkinlaw.com.